Who Said Filing Can't Be Quick and Easy? 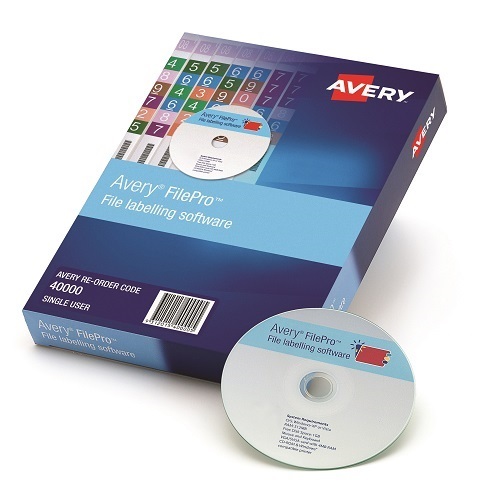 Label lateral files quickly with Avery FilePro: it's easy to create your labels, and then apply as a single strip! Easy-to-use software with pre-designed templates to customise lateral filing labels. Print brilliant colour-coded labels for alphabetical, numeric or custom indexed filing systems quickly and easily. Available for single user and multiple number of users. Laser labels specially designed to fit the tab area of lateral files. Save time by applying one printed label strip rather than applying individual tab labels.